Arrow Farmquip are a family owned and operated Australian business who design and manufacture livestock handling equipment, including portable sheep yards which are essential for the progressive sheep farmer. Many farmers are already using portable sheep yards to handle their flock, especially at lamb marking time. Portable sheep yards allow the yard to be brought to the sheep instead of having to muster them all to a central set of yards, where disease such as tetanus may be prevalent. 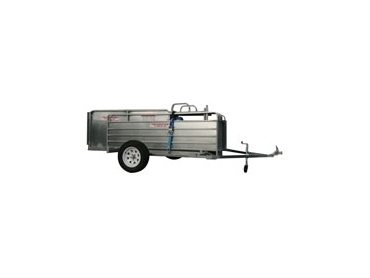 Arrow Farmquip portable sheep yards are simple and quick to set up. The drawbar assembly is raised to a vertical position and does not need to be removed for operation, giving the operator easy access to the sheep while remaining safe for the animal. Customers can be confident when purchasing Arrow Farmquip cattle and sheep handling equipment as all items carry a full Australian warranty.